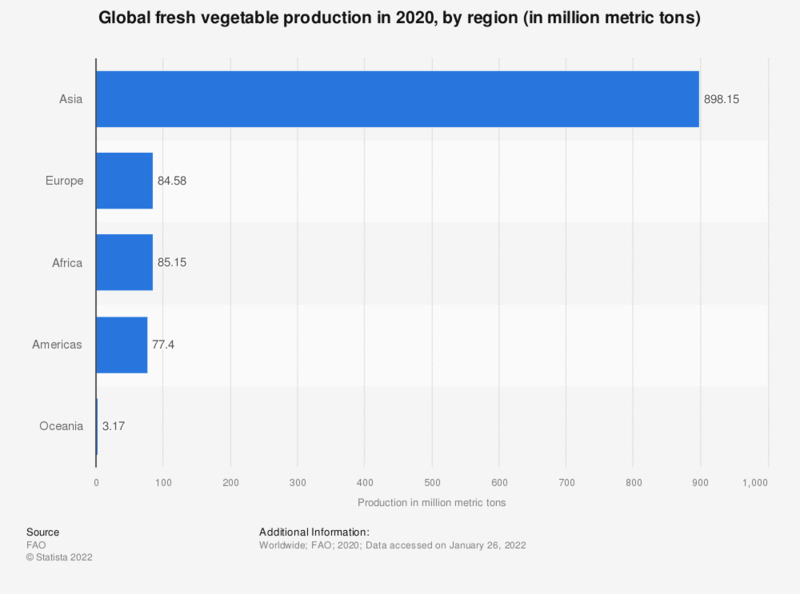 This graph shows the global vegetable production in 2017, sorted by region. In that year, some 79 million metric tons of vegetables were grown in Africa. The majority of the vegetable production worldwide took place in Asian countries.